Sorry. Saying sorry is the appropriate response in certain instances and the power of the word to heal or console when appropriately applied is tremendous. It is nevertheless important to know and understand the difference between when an apology is required and when it is not. It is beneficial to say sorry when someone receives sad or difficult news or when your actions have made life really difficult for someone else. 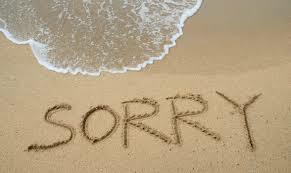 Other than that sorry is one of the most frequently inappropriately used words in the English vernacular. Here are a few pointers on how to stop apologising for the good of all. Pay attention to who you tend to apologise to. Are there certain people who undermine your confidence, or who leave you feeling as if you are always wrong? In such situations, you are actually giving someone else permission to think and believe that they are more important than you. Pay attention to when you are starting to apologise. Our own habits are often hard to spot because they are usually automatic and we are only semi-conscious of patterns we fall into and the things we tend to say. If you notice that you repeatedly find yourself saying sorry for someone else’s mistakes or saying sorry to stop an argument or end a challenging situation that makes you feel uncomfortable then it is probably time to apply some personal discipline and correct this pattern of behaviour. It can be helpful to look for the roots, or the need, you are covering up. For example, perhaps an authority figure (parent, teacher, older sibling, etc) used to get angry if you didn’t just “shut up” or take the blame. Alternatively, it may be that you feel you can’t really honestly and openly share the way you feel – so you apologise as a means to suppress or repress your true emotions. Keeping in mind the points made previously it would be useful to consider the longterm effects of how your need to apologise will effect you further down the line. The constant need to apologise as a way to manage current issues may lead to a build up of grievances which can have grave consequences for your relationships, you may start to pull back from those you love and shut off your true feelings, this ultimately damages the feelings of good will and is harmful to the other person who is denied the opportunity to acknowledge your true feelings and honour your vulnerability. Speak up, denying your feelings with apologising is tantamount to apologising for your existence, if that is how you feel then I suggest you seek the help of a professional counsellor or therapist who you can discuss the issues at hand. Make a constructive decision to establish and enforce your own set of boundaries. Practise the art of saying “No” to others – without also saying “Sorry”! 7 Issues from Childhood that Affect our Relationships Later on in Life. 1. Threats and fear of abandonment. These can lead to jealousy and feelings of insecurity. 2. Lack of emotional nurturing. This can lead to feelings of emotional deprivation – which can feel like a bottomless pit to fill. 3. Growing up with feelings of entitlement. This can lead to feeling as if you are superior to everyone else. 4. Being told that you are inferior or inadequate. This causes you feel like you are never good enough. 5. The demand to be perfect and to always get things right. This can lead to being driven – and setting yourself incredibly high, and ultimately unachievable standards. 6. Being betrayed by those you trusted – so you won’t trust now, and you can’t get close to others, or let them get close to you. 7. Being raised in a way that your needs were denied, not allowed, disregarded, trivialised or ignored. This can lead to a doormat type of personality where other people matter – and your needs never count. Words have a frequency, which is why the words that we speak and the thoughts that we think have a profound affect on our experience of life, everything from your health, wealth, success and happiness are affected by your thoughts. These thoughts are affecting your body for the simple reason that when their vibration reaches the water in your body it too is affected. A river stays pure because it is always moving, you become unhappy and unwell when your thoughts become stuck in an unhealthy pattern. When you change your thoughts and words you have the potential to change your experience however, words alone are not enough, your feelings need to be in harmony with the thoughts you are thinking and speaking for the effect to be realised. This is commonly referred to as intent. Our bodies are made up predominantly of water, up to 60% to be precise, when you were born that percentage was a great deal higher, closer to 80%. When you were born this quantity of water enabled you to learn at a very fast rate and learn incredibly complex tasks too. Walking, talking, eating solid foods require a high degree of intelligence and water as the greater percentage of your body’s make up is your intelligence in action. Every cell in your body requires water to perform its unique and specific task. As you grew older you believed that there was less that you could learn and your need for water diminished as the thought patterns you followed supported this belief. Now that you are ready to change your life or a certain aspect of it that no longer serves you well. You will need to engage your intelligence in order to gain a new perspective. Hydration alongside a change in thinking are fundamental to changing your life for the better. EVERY health condition, emotion, illness and disease is affected by water. Water is a very powerful substance, it has the power to heal and detoxify your entire system. You might know how awful it feels when you are hungover and your body displays all the symptoms of dehydration; nausea, fatigue, you have little desire to move about, your mood is far from jovial and your view of yourself and your life is far less constructive, positive and optimistic. Your body needs water to stay alive, the more hydrated you are the clearer and healthier are your thought patterns and behaviour. When you consider how essential water is to your very being it is useful to consider how the water molecules in your body are affected by your thoughts. By producing different focused intentions through written and spoken words and music and presenting it to the same water samples, the water appears to ‘change its expression’ (resonance). Dr. Masaru Emoto also discovered that crystals formed in frozen water reveal changes when specific, concentrated thoughts were directed toward them. 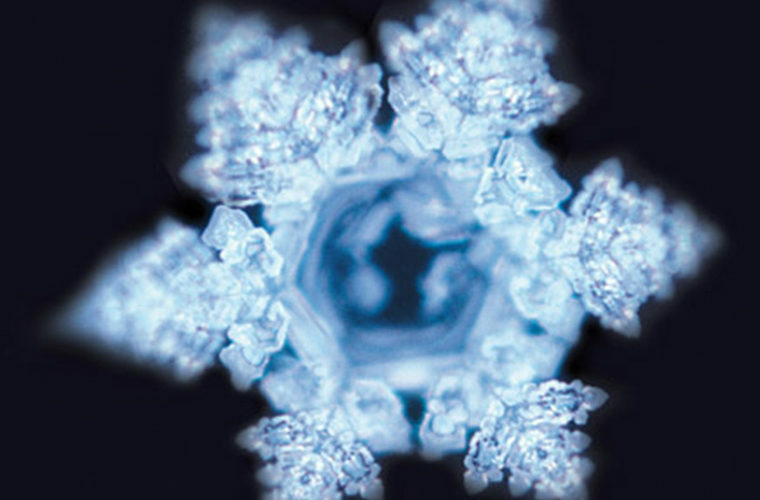 Emoto discovered that water from clear springs and water that has been exposed to loving words show brilliant, complex, and colourful snowflake patterns. By contrast, polluted water, or water exposed to negative thoughts form incomplete, asymmetrical patterns with dull colours. The implications of this research create a new awareness of how we can positively impact not just our personal health and wellbeing. It illustrates how important it is that we speak of and to ourselves with kindness and compassion because the water in your body is always listening. From my own experience with clients over the years this has been an integral part of their healing process, be it to overcome an addiction, pass an exam or end a marriage with a minimum amount of hurt and pain to either partner. There is no doubt in my mind that all my clients have significantly benefitted from speaking and thinking kindly of others, regardless of what they may or may not have done, those thoughts are affecting you too. Here is a short video that illustrates the affects of thoughts and feeling on water. Perhaps, after watching it you will begin to really understand the incredible power that you possess and why it is so important to harness your thoughts to healthy patterns. If you would like to ask me further questions about changing thoughts and limiting beliefs please feel free to contact me. Trance is a state in which learning and openness to change is most likely to occur. By trance I am not referring to a state in which clients are ‘put under’ some kind of mysterious spell by a hypnotist, nor are those in a hypnotic trance out of control and directed by the will of another. Hypnotherapy bears no relation to the charade of Stage Hypnosis which is used solely for the purposes of entertainment. The therapeutic hypnotic trance is in fact a natural state experienced by everyone and is as natural to our experience of being alive as breathing. The most common experience of trance that is familiar to everyone is when you daydream, other trance states can occur when you meditate, pray, or perform exercises, – jogging is a great example of ‘hypnosis in motion’. During these situations a person creates a heightened awareness of their inner mental and sensory experiences, their internal story, whilst external stimuli such as sounds and movements take on a lesser degree of importance. Whilst in a therapeutic hypnotic trance a client will often intuitively understand the meaning of dreams, symbols and other unconscious expressions. In essence you experience unconscious learning as you become less involved mentally with thoughts and issues. 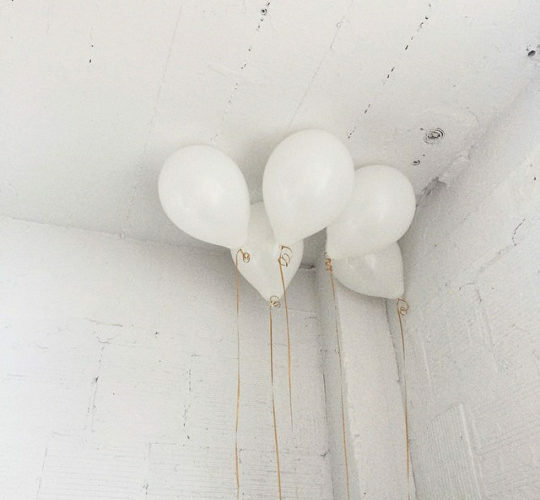 It is possible that new suggestions given by the hypnotherapist are more readily accepted as the critical faculties are reduced, however if any of the suggestions made are in conflict with your values then you will not accept them or the acceptance of them will be fleeting or transient. Sometimes people experience amnesia whilst in trance, this is neither damaging nor long – term. The hypnotherapist’s role is to guide the client into a trance state, firstly by capturing the client’s attention and then to subtly direct the attention inwards, this leads to an inner search and a hypnotic response. The hypnotic response, which is related both to your needs and expectations and to the therapists direction is drawn from your vast store – house of learning. In order to achieve this response, the hypnotic suggestions may be either indirect, interspersed in an ordinary conversational style or an interesting story. 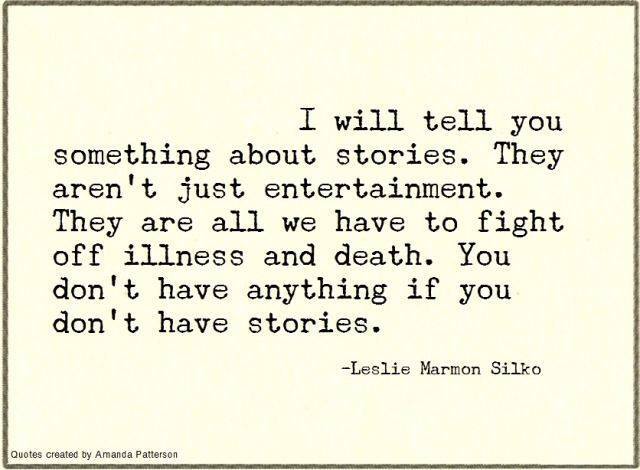 Stories are a fundamental part of your experience of life. The life you are living is drawn from a construct of stories created through an internal dialogue which you then go on to live out externally. ‘it’s the story of my life’ is a common expression of belief that can keep you stuck in outmoded patterns of behaviour. To change your external experience it is necessary first to change the inner story. Your unconscious ability to create change is tuned to your natural ability to access and utilize knowledge. When a hypnotherapist who is optimistic, positive and supportive of your growth introduces stories “teaching tales” to you whilst you are in trance new feelings are evoked and you will encounter new life experiences. Whilst you are in trance the therapist is alert to subtle changes that will indicate to what degree you are responding. Such indications may include a softening of facial expressions and features, staring, absence of blinking and almost complete immobility. When these series of responses are observed, the therapist can safely assume that you have entered a light trance state. It is usually at this point that the therapist will note that you are dealing with material from the unconscious and let your mind settle there. More often than not the stories told follow archetypal patterns, much like those found in fairy tales, folk myths, legends and so on. The most common theme being that of a quest. The effect on you is similar to that experienced when you have been to see a really good movie, there may even be the sensation of a glow. Often after you have seen a really good movie there is a sense of well – being as most people naturally enter an altered state of consciousness whilst watching a film that engages them. During the film you identify with one or more of the characters and thus leave feeling ‘trance – formed’ Usually this feeling only lasts for a short period of time, 10-15 minutes at most. By contrast after a good hypnotherapy session clients often find that still many years later the story heard whilst in a hypnotic trance remains with them and their attitude has been permanently changed. The reason for this profound change is due to the therapeutic hypnotic state where you are more readily able to access and use unconscious learning. Hypnotherapy is unique in that it allows you to get in touch with this unconscious learning state and retrieve your own inner wisdom which you can then incorporate into your behaviour. As a result you will experience more constructive and self – reinforcing behaviour. Hypnotherapy is nothing like brainwashing. Brainwashing needs to be repeated, often with far greater force as the behaviour it aspires to induce is rarely enforced by your culture and so it fades rather quickly. Hypnosis which encourages and supports patterns of behaviour that serve to support you, strengthen you, benefits not just you but those around you also, creating a positive outcome. Advertising is an example of an attempt to brainwash people to believe that they are not good enough. If you spend enough time away from TV adverts you will eventually return to a healthy perception of yourself and your sense of self worth. Hypnotherapy leads to lasting change because it is directed towards personal growth, that you can better yourself because you already posses unique possibilities for growth. If you would like more information about how Hypnotherapy can support you to create the life you want and minimise the effects of negative thought patterns and behaviour please call or email me. Each and every one of us is a composite of things we do and do not do. Those things define our actions and how we formulate our thoughts into actions. Sometimes we have bad habits and a mindset that we are not even aware of. Life has become fast paced and frantic, that is how the majority of people live, that does not make it a good thing it just means that many people are more inclined to follow what other people do rather than find their own truth, discover what really works for them. This is fear based living and the price people pay is far greater than they realise. Here are a few simple guidelines you can follow that will bring your life into healthy focus, balance and harmony. The only thing that prospers and grows in a stressful environment is dis-ease. Life is nothing without good health to enjoy it. * Stop comparing. When you compare yourself to others you rob yourself of your own unique talents and abilities, the importance of being individual is diluted. Through comparison one or the other is diminished and in a world that already tells you that you are not enough it is usually you that emerges as the lesser of the candidates your mind will present you with. Subsequently your sense of self worth takes a beating. Remember you are wonderful because of your unique traits and characteristics. *Stop competing. The competition of bettering yourself and being better than yesterday is a wonderful goal to aspire to, however competition is more effective when it is governed by awareness. It is okay to know what other people or other companies are capable of, however when approached as a cold blooded game you will eventually lose. *Let Go of Anger. Holding onto anger is like holding a piece of hot molten lava in your hand and denying the pain. Anger is destructive. There is no other way to explain how toxic this emotion can become when it is not managed. If you are not able to manage it, it will make you say or do things that you may regret for the rest of you life. Every single day the papers are filled with stories of people with anger that has gotten way out of control, such that it has become rage. Given the huge availability of therapists, myself included available there is absolutely no excuse for it any longer. When you can manage and express anger in healthy ways your whole life will improve beyond measure and so to will the lives of people around you. *Let Go of Regrets. Having regrets is an absolute and total waste of time. Regret has absolutely nothing to do with anything. Regret is a self serving form of guilt for a mistake. Mistakes are useful, they are a great opportunity to learn and grow. Everybody makes mistakes all the time. *Stop Worrying. 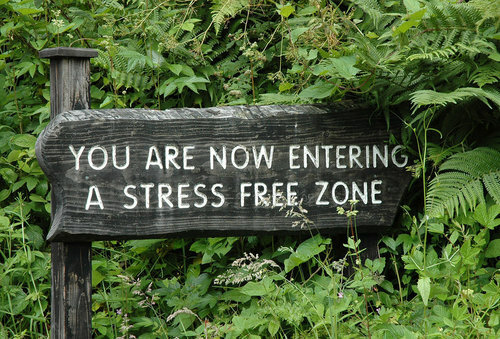 Worry causes stress, stress compromises your health, well-being and peace of mind. Worrying is just an imagined fear and you are far more likely to make that fear a reality by focusing on it. If you are worried about your children then the best thing you can do is be proactive otherwise you are causing them unnecessary emotional and psychological harm which is potentially far worse than the the thing you think might happen. *Let Go of Blame. Blame is a losing game, nothing good comes of it. Principally because people who want to blame others are struggling with their own feelings of shame. Blame is just another way of passing shame which is far more toxic then any virus you can imagine, it will come back to you again and agin until you stop doing it. The most constructive thing you can do is address what it is that you are ashamed of in yourself. What are you hiding? *Let Go of Guilt. Guilt is a form of arrogance, a self serving form of sacrifice, it does not bring peace to anyone. Better to fix the problem, make amends if necessary and then move on. *Let Go of Fear. Fear is a stimulant and like most stimulants it is toxic. 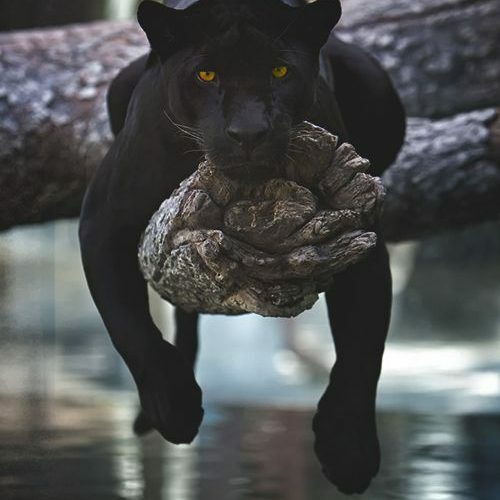 There is a distinct difference between fear and danger, one is imagined, the other is real. A flawed perception of life lies at the root of fear. For the most part fear is learnt, be it from someone else or from listening to or watching far too much non-sense on TV. Fear is always about what will happen next, which means that fear is about things that do not even exist. Which is rather irrational if you think about it logically. If your life has become crippled by fear it is a very sad and lonely way to live. I would urge you to seek the assistance of trained and compassionate professional. Hypnotherapy and NLP are amazing ways to remove fear from your life once and for all. *Lighten Up! Life is supposed to be fun. At the very least have a giggle about how many things on the list you struggle with. People with healthy thought patterns have the ability to laugh at their problems and keep them in perspective. Good luck! Remember, every little helps. If you are struggling with any of the issues mentioned feel free to call me for a Coaching session. A Polar bear lived in a circus. He lived in a very small cage and could not even turn around, in fact he could only walk two steps forward and then two steps back. 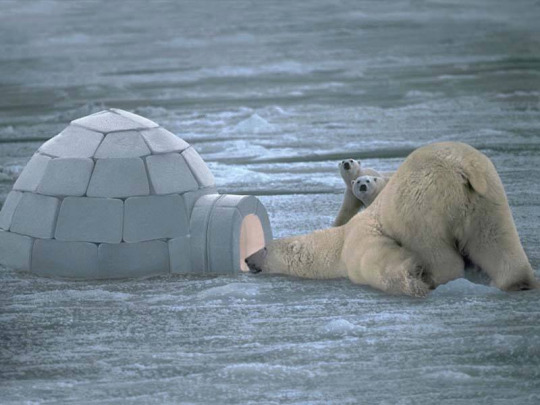 The owner of the circus gave him to a zoo, where the polar bear had an open space in which to roam. Still, he walked two steps forward and two steps back. Remembering and forgetting are inseparable, much like life and death sooner or later we must become cognizant of the fact that all life comes to an end. Our ability to adapt to the ebb and flow of change in life allows a certain freedom. For many people there is a tendency to hold on to things that are past – memories of both good and hurtful experiences. When someone holds on to something that should be over they not only hold back themselves, everyone in the family group is held back too. Everyone is held captive to the past which will then go on to effect the present in inappropriate ways. Because the old cannot fade away, the new has difficulty in establishing itself. It requires great discipline to extract yourself from these kind of systemic family entanglements, to let go of everything that deserves to be finished. All members of a family group need to let go of things, both positive and negative as soon as their effect for good has been realised. If you are struggling to let go of the past and live peacefully in the present Hypnotherapy can help to alleviate the old recordings of a past story from continuing to be felt. The relief not only feels wonderful but is beneficial in that it clears the way for new and greater opportunities to be experienced. Call me now to hear how Life Therapy can support your change and growth. 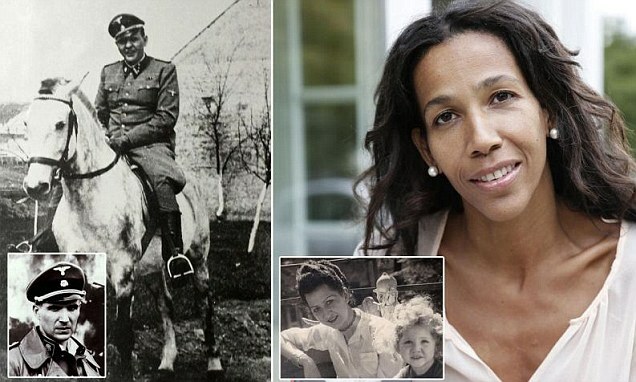 Nazi war criminal’s black granddaughter, a hidden family past. Jennifer Teege is the granddaughter of Amon Goeth, the notorious Nazi commandant of Plaszow concentration camp depicted in Steven Spielberg’s ‘Schindler’s List’. Yet it was entirely by chance that she discovered this truth. A chance visit to a library looking for information on how to cope with the depression she was suffering set in motion a series of discoveries that had quite a dramatic impact on her life. This story is an excellent example of the importance of our family history (ancestors) and the often mysterious, intelligent workings of the family need to restore peace, balance and harmony. If you feel that you may be experiencing the effects of a difficult family past or secrets that may be affecting your life today please do contact me. Systemic Coaching is a wonderful way to heal old family wounds passed from one generation to the next. The cycle of suffering can end with you. Mindfulness: Buddhism without the spiritual bits. Some people call this awareness ‘mindfulness’, and you can take steps to develop it in your own life. Mindfulness, sometimes also called “present-centredness”, can help us enjoy the world more and understand ourselves better. Professor Williams says that mindfulness can be an antidote to the “tunnel vision” that can develop in our daily lives, especially when we are busy, stressed or tired. “It’s easy to stop noticing the world around us. It’s also easy to lose touch with the way our bodies are feeling and to end up living ‘in our heads’ – caught up in our thoughts without stopping to notice how those thoughts are driving our emotions and behaviour,” he says. “When we become more aware of the present moment, we begin to experience afresh many things in the world around us that we have been taking for granted,” says Professor Williams. “Mindfulness also allows us to become more aware of the stream of thoughts and feelings that we experience and to see how we can become entangled in that stream in ways that are not helpful. “This lets us stand back from our thoughts and start to see their patterns. Gradually, we can train ourselves to notice when our thoughts are taking over and realise that thoughts are simply ‘mental events’ that do not have to control us. 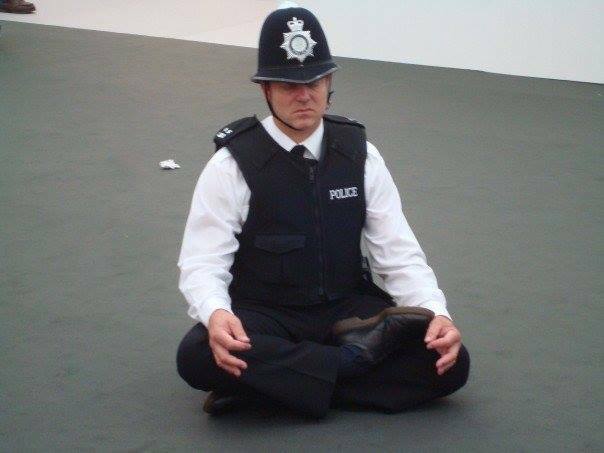 Mindfulness is something you can practise anywhere and everywhere. 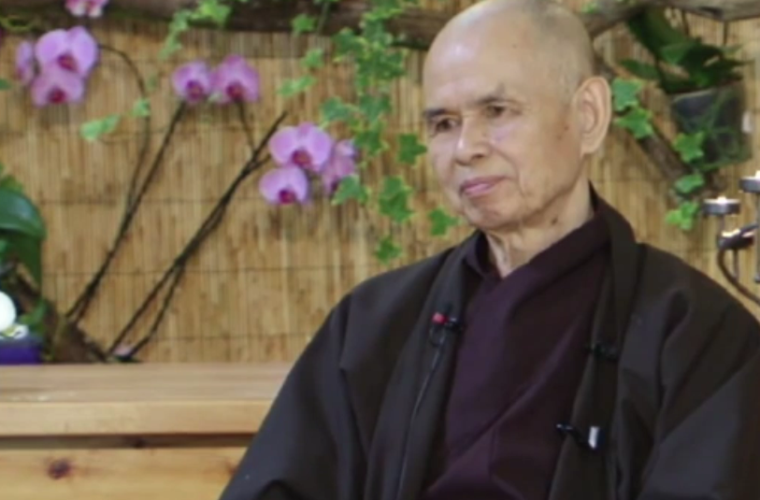 In this video Thich Nhat Hanh explains how we always have access to our ancestors through the practice of meditation and mindfulness in the present moment. Despite his insights being rooted in Buddhism, his vision is deeply complementary to systemic views on children’s connection to parents. Everything about it was perfect and it healed me all the way to the core. There are no words for what I feel because of this. I will carry these memories in my heart forever. Can’t wait to share it with my new family.